Recess is fun! Installing recessed lighting…not so much. Installing and wiring recessed lighting is a challenge that many people think they can handle until they are knee-deep in electrical wires and chunks of broken plaster or drywall, then they realize maybe this wasn’t such a good idea. What makes recessed lighting so difficult? First, you need to know if the existing circuit wiring will handle the additional load properly. If not, you’ll want to know how to install new wiring. You’ll also need to think about where the lights are going. In addition to cutting a hole in the ceiling that is the proper size and shape, you’ll need to make sure that the lights won’t be installed around insulation, which would be a fire hazard. If you want a dimmer switch to work with your recessed lights, you’ll need to know if it will work the particular bulbs you’ll be using. Finally, you’ll need to know if the recessed lights are UL rated for safety. 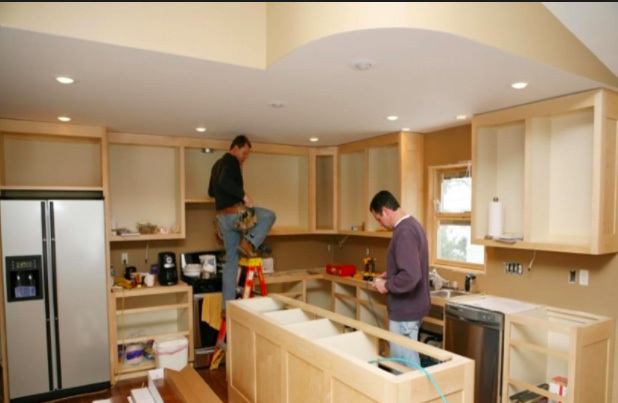 Installing conventional light fixtures does involve some of these same questions, but recessed lighting is more difficult to install simply because of the labor and expertise involved in actually creating the recessed area. Yet there is no doubt that recessed lighting is attractive and functional. For home theater rooms, recessed lighting fixtures provide ambient light without a glare. In kitchens, recessed lighting is a great way to add extra light over countertops or islands so aspiring chefs can see what they’re creating. In bathrooms, recessed lights add soft lights over garden tubs or spa showers. For art aficionados, there’s no better way to display a painting than with a recessed light placed directly over the painting. It provides light on the portrait but doesn’t shine directly on it, making for a lovely display. We appreciate that you want to make your home more attractive, and we urge you to not leave recessed lighting installations to chance. The only thing less attractive than an outdated lighting fixture is a recessed light that was installed improperly, leaving gaps around the hole or not fitting flush with the ceiling. We can install recessed lighting for you that can improve your home’s appearance and update your home’s look and feel. If you’re a discerning Atlanta homeowner, we know you only want the best for your home. So please give us a call and hire the best electrician for your recessed lighting installation! Call Now!